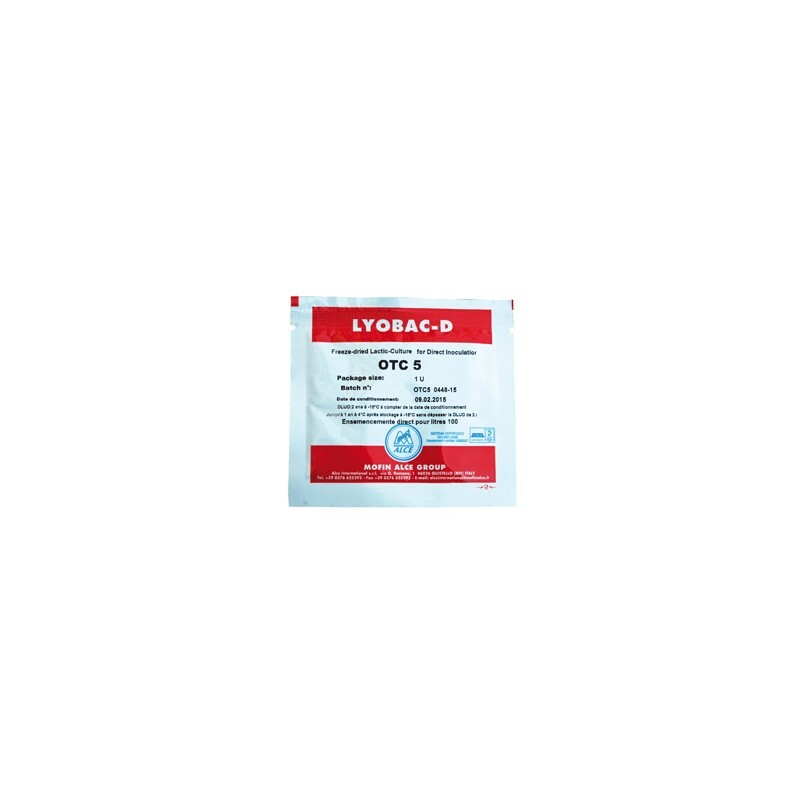 OTC contains a mixture of lactic cultures thermophilic and mesophilic fermentation homo (Streptococcus thermophilus, Lactococcus lactis subsp lactis and cremoris) leading to acidification efficient, reliable and controllable. 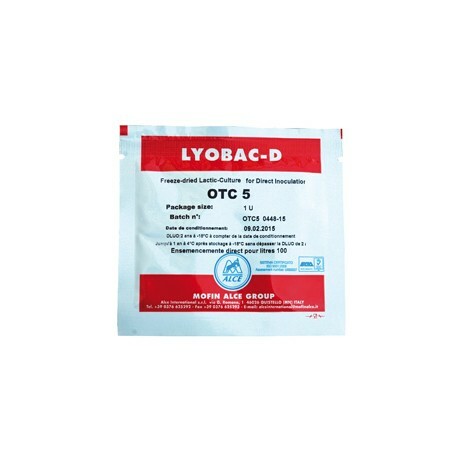 OTC does not produce CO2 and can be used in combination with other lactic acid cultures. 1U bag per 100 liters of milk.